Jeff Seegmiller is the director of Idaho’s medical school at the University of Idaho for the first and second year training site of the WWAMI program. In addition, Seegmiller is an assistant dean within the University of Washington School of Medicine and is involved with student progress, curriculum and regional program committees at the medical school. He is also an affiliate faculty in the Department of Biological Structure at UW School of Medicine. Seegmiller has chaired musculoskeletal anatomy for the WWAMI program for the past eight years and co-developed a master’s and doctoral program that has gained national recognition. 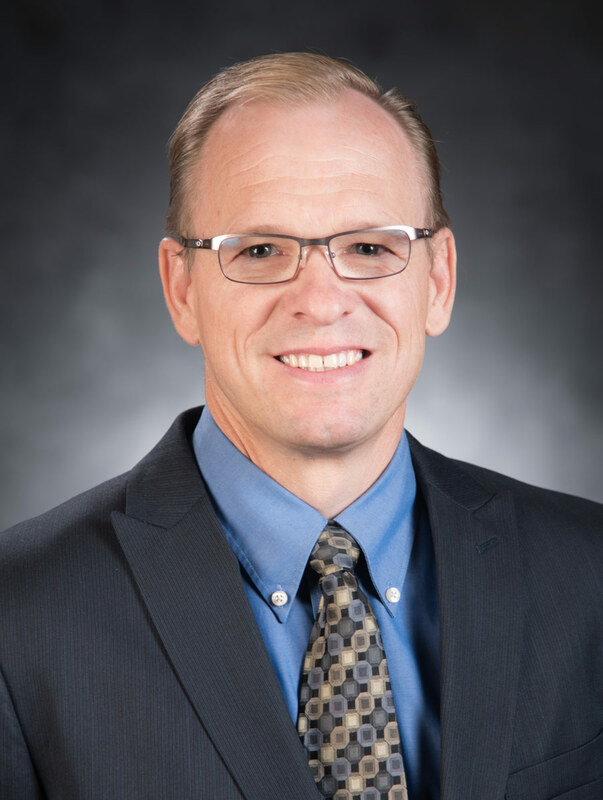 Seegmiller earned a Bachelor of Science degree from Brigham Young University, and Master of Science and Doctor of Education degrees from Illinois State University specializing in biomechanics. He began his career preventing, treating and rehabilitating musculoskeletal injuries as a certified athletic trainer with numerous clinics, schools and teams. He served as the graduate program director at Ohio University where he developed and directed the master’s and doctoral education programs and established outreach clinical services to rural communities. Seegmiller is committed to medical education on the Palouse, and continuing the partnership with the University of Washington School of Medicine in delivering high quality medical education in Idaho. I frequently hear the statement that “Idaho needs its own medical school” where the first two years are delivered on a main campus and the third and fourth years are distributed throughout Idaho. I’m then pleased to inform them that Idaho already has this innovative form of medical education. Most are surprised to learn of the high-quality medical education currently offered at U of I that is specifically tailored for Idaho’s needs, with maximum exposure to patients and health care facilities throughout the state and a specific focus on rural medicine. Yet the cries for an Idaho medical school continue either by those who are unaware of what is currently being offered, lack understanding as to the associated costs or don’t appreciate the value of the research-based collaborative model we’ve adopted as best practice for medical education. For over 40 years, Idaho has been part of the WWAMI (Washington, Wyoming, Alaska, Montana and Idaho) program with the University of Washington School of Medicine. This relationship has allowed Idaho to train some of our best and brightest to become physicians within our state. The Idaho WWAMI Medical Program is Idaho’s medical school. The WWAMI faculty takes pride in its commitment to educating the next generation of physicians. Our medical education community is comprised of men and women throughout Idaho who are passionate about their work and are poised to make significant contributions to Idaho’s medical education. While Idaho does have a physician shortage, this is not because WWAMI has failed. It was largely due to lack of support. For most of the past 40 years, WWAMI class size has stayed the same or decreased due to lack of funding. But legislative support over the past few years has reversed this trend. Beginning in 2016, the number of Idaho WWAMI medical students will fully over the class size just four short years ago. This growth will have an enormous impact in meeting Idaho’s physician needs, yet further expansion of class size and an increased number of residencies are still needed. WWAMI has the capability to grow for many years to come and I am pleased to announce that with new partnerships and support, we are building a state-of-the-art medical education facility. This facility will offer cadaver anatomy labs, active learning classrooms, clinical simulation labs and teleconferencing that is fully wired to connect with clinicians and medical scholars in rural communities and throughout the world to provide a digital “medical education home” for our students, alumni, scholars and state medical community. These investments are necessary so that we will be ready for the current and future needs of medical education in the state of Idaho and to assure that the WWAMI medical school experience continues to be world-class. The University of Idaho is the state’s home for medical education with over 30 dedicated faculty and hundreds of clinicians at institutions and facilities throughout the state who are our valued partners. We look forward to strengthening those partnerships as we seek to place more students throughout the state during the third and fourth years of the medical program and look for more residency opportunities. Your continued support is needed to ensure that the residents of Idaho have the opportunity to attend a top-tier medical school that has an established record of preparing highly qualified physicians who understand and are prepared to meet the diverse health care needs of Idaho’s rural and urban populations.